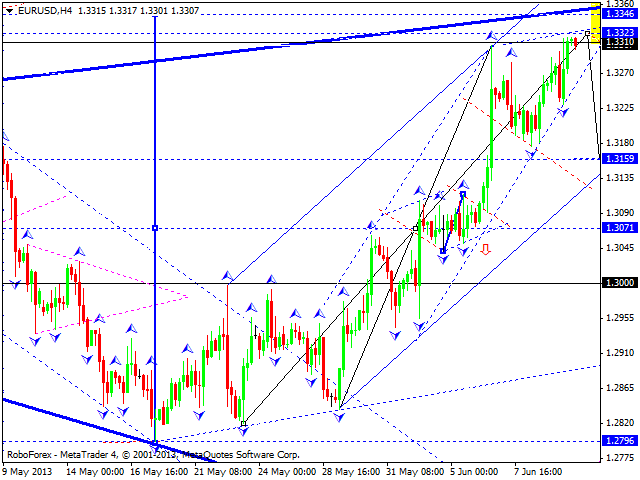 Euro continues forming an ascending structure with an extension. If the market breaks the maximum and reaches the level of 1.3350, then later it may start a rapid descending movement towards the level of 1.3000. The structure of this descending movement may be considered not only as a part of a possible correction, but as a continuation of another wave with the target at 1.2700 as well. Pound is still trying to continue growing up. We think, today the price may reach the target at 1.5790 and then start a descending correction to return to the level of 1.5320. Franc continues forming a descending wave. By now, the market has completed one more part of this wave and right now is trying to continue falling down, but can’t form any impulses to start a correction so far. We think, today the price may continue moving downwards to reach the main target of this wave at 0.9190 and then make a reverse towards the level of 0.9600. 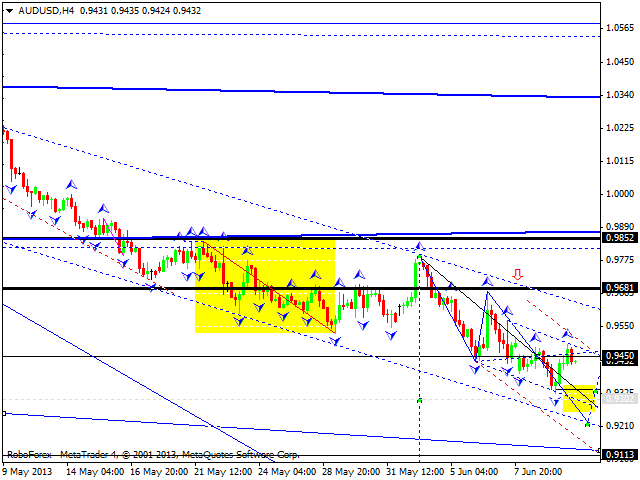 This ascending movement may be considered as the fifth wave with the target at 0.9880. 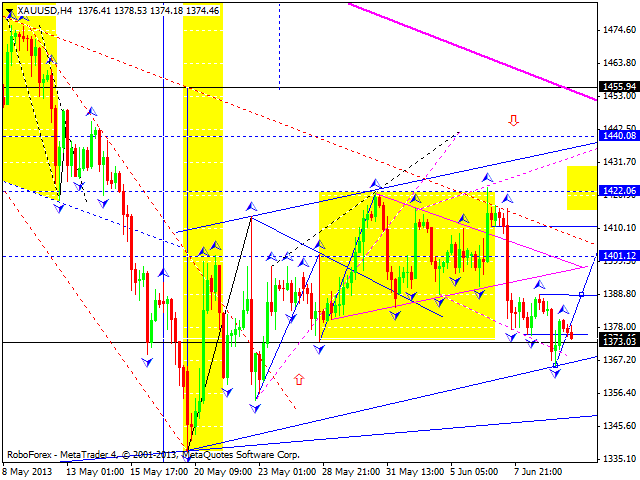 The USD/JPY currency pair is forming the fifth descending structure inside the descending wave. 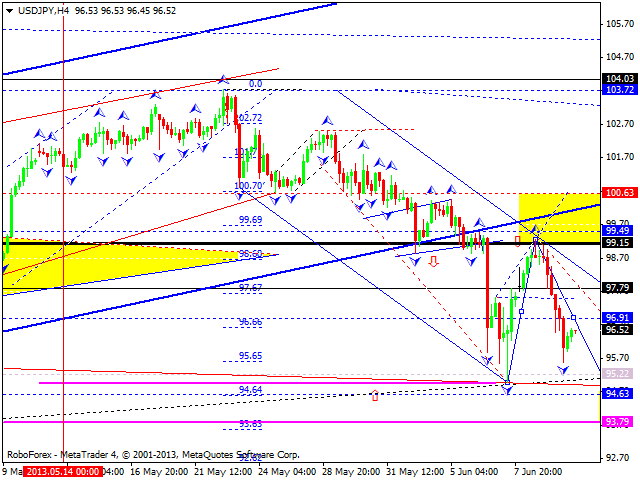 The target is at 94.65. We think, today the price may reach this target, form an ascending structure towards the level of 99.50, and then continue forming the third wave of the descending trend. Australian Dollar reached a new minimum; the pair is trying to form a new ascending impulse, however, it isn’t strong enough to continue. 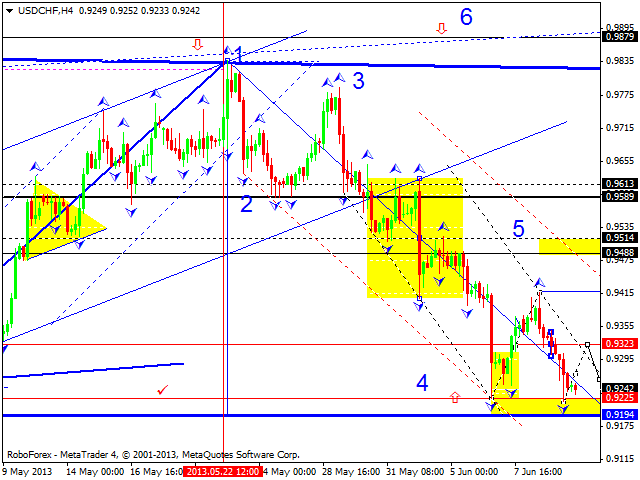 We think, today the price may form another descending structure towards the level of 0.9210. The main target is at 0.8800. Gold broke another descending channel, which looks like an extended spiral. As a rule, such structure have no continuations. We think, today the price may move upwards to return to the level of 1390, consolidate for a while, and then reach the level of 1410. 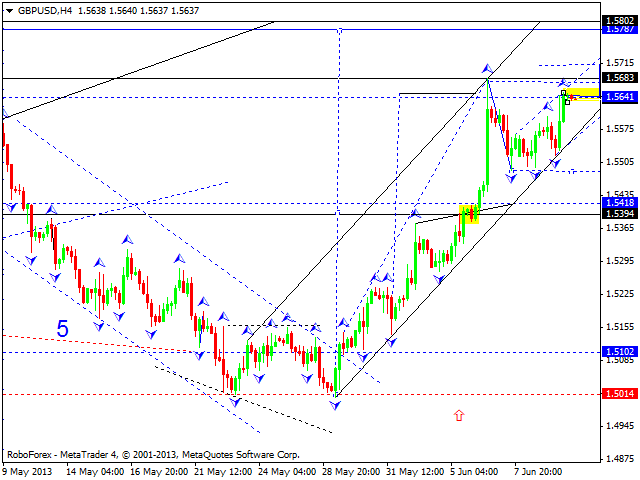 The target of this wave is at 1440.